We are currently living in an age of startup fever and entrepreneurial spirit. As a result, there are more new businesses and start ups than ever. If you need a place to do business, but are on a low budget with your start up, you might consider a shared office space. Shared office spaces are spaces that house more than one business and they might be the perfect solution for your needs. 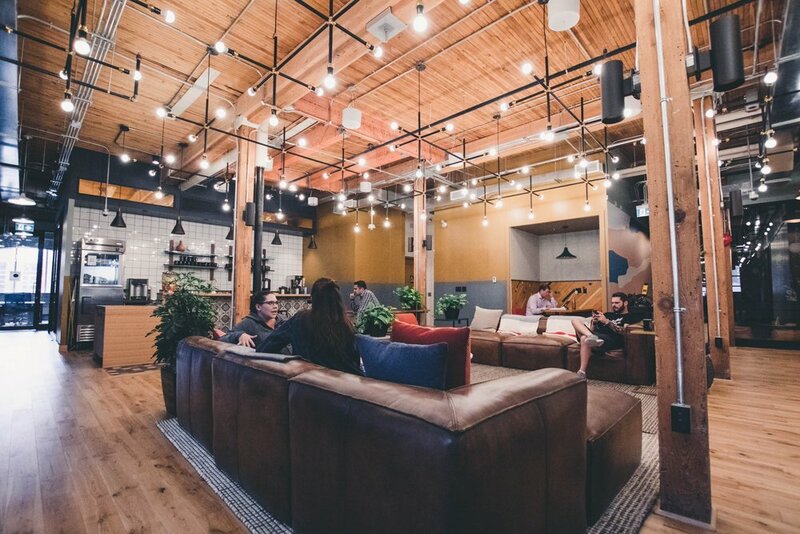 Here are some reasons a shared office space might be right for you. Cost: Obviously, splitting the cost of rent with another company will save you on rent expenses. More than that, a lot of offices have coffee stations, printers and mailboxes all included in your monthly fees. When compared with entrepreneurs who are working out of coffee houses, this could be a cost-effective solution for these reasons alone. Networking: When working out of a shared office space, it’s likely you will be working with businesses in industries similar to yours. Working side by side with these businesses will give you opportunities to network that you may not have come across otherwise. Office-mates may also provide you with valuable advice you will be able to use to further your career. Mood: When you work alone, it is easy to become depressed. Working with other people will give you enough privacy to get work done and eliminate feelings of isolation that can affect your mood and health in a negative way. A Work from Home Alternative: Many entrepreneurs start out working at home to save money. Although this may be a convenient solution, it can lead to an unpleasant mix of professional and private life. Family matters may come up effecting your ability to be productive or you may just feel like there is too little separation between home and business. A shared space is a low cost solution that will help you keep your professional and personal life separate while getting you out of the house every day, which can also lift your spirits. Low Commitment: If you work in a shared space, the day may come when you feel like you need to move on. This will not be a problem as it is likely you have signed on to a low commitment lease and do not have many belongings to move at your shared space. This is in comparison to a privately rented office where moving takes a lot of time and effort and long term leases may keep you from getting up and going as you please. If you are starting up a new company and looking for a place to do business on a budget, a shared office space may be the perfect solution. They are relatively inexpensive, provide great networking opportunities and can make an ideal work from home or coffee shop alternative. FoundrSpace is a premiere coworking space in the Inland Empire and if you are local to the area and are searching for a new workspace, we’d highly encourage you to reach out to us and take a tour of our facilities! We are currently in pre-launch and are scheduled to officially launch in early 2019.